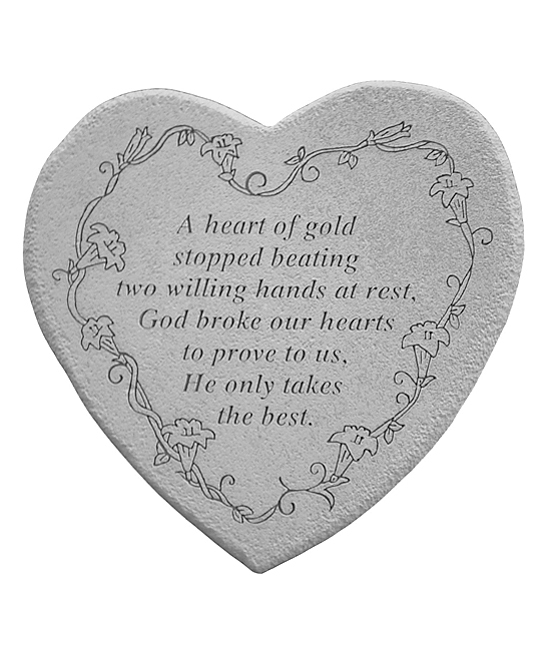 Memorial Stone - A Heart Of Gold Stopped Beating..
Home > Memorials > Memorial Stones > Memorial Stone - A Heart Of Gold Stopped Beating.. This beautiful memorial has a rich texture with the look, feel and weight of true stone. Made of cast stone, it is weatherproof and has year-round durability. It is guaranteed to last a lifetime. Made in the USA. Personalized Memorial Stone - If Tears Could Build..